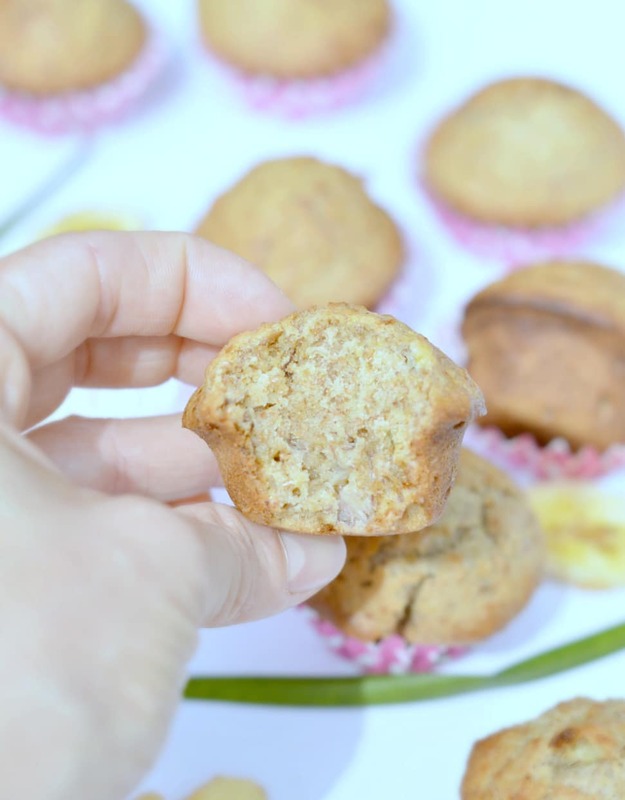 Those whole wheat banana muffins are one of my healthiest clean food recipes ever! 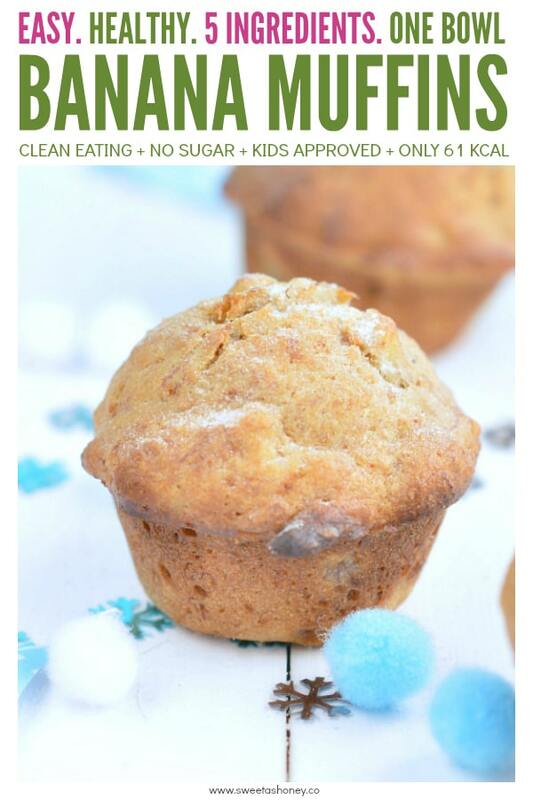 NO processed food here only real food to create delicious, moist and nut-free banana muffins for kid. My big girl is now at preschool. Emma has to bring her afternoon snack in her lunchbox everyday. And trust me, this generate lots of excitement to her! Each night she is coming back home telling me what friends had in their lunchboxes. She plan what she would like for the next day. Yesterday she said ‘ I want muffins mummy’. Phew! for a nut lover like me, it becomes a challenge to prepare healthy nut free baking recipe for her lunchbox. Well, yes there is a nut-free policy in her preschool. I understand how nut allergy can be dramatic for some kids. SO I must challenge myself and do my best to develop new easy recipes for Emma’s lunchbox. Good bye favorite nut butter or almond meal! Plus, yesterday I had a long busy day and I was not really in the mood to bake. BUT I still wanted to be a good mum. I am sure you have been there too. You know that feeling when you want to makes your kids happy. But still, don’t have the energy to spend hours in the kitchen preparing the lunch box. Don’t you? SO yesterday night we work together on making simple whole wheat banana muffins with honey as a sweetener. Well, the recipe works with any liquid sweetener like maple syrup – my favorite – honey or apple syrup. But I was running out on maple syrup so we did whole wheat banana muffins with honey today. Whole wheat banana muffins healthy and easy ! It was ready in 10 minutes using only wholefood. I had 2 very ripe bananas on hand. The ugly one with black spots on the skin – and those actually inspired me to make banana muffins. It was a great way to use up those black spots ripe bananas. It also decrease the sweetener in the recipe. We choose wholewheat flour as a main flour ingredient to add lots of fibre. Those banana muffins will also work well if you use half whole wheat flour and half white wheat flour. Just in case you are running out of whole wheat and want to make those! In total we used only 5 ingredients to make those whole wheat banana muffins. It makes this recipe super fast! Also, we used a 12-mini muffin tray to bake them. It is a great time saving kitchen tool for mums. Those mini muffin tray decrease the baking time to 12-15 min! Plus it is a perfect size for kids small hands. My girl loves those whole wheat banana muffins. It was a great alternative to my sugar free raspberry muffin recipe that I make very often too. The recipe makes about 24 mini muffins. I bake the batter in two trays of 12 mini muffins. Thank you so much for taking some time to read this recipe post. I would love to hear what’s your favorite kids muffins flavor too! Talk to you soon & enjoy this healthy recipe. WATCH THE WHOLE WHEAT BANANA MUFFIN RECIPE VIDEO ! An easy 5-ingredients whole wheat banana muffins recipe made with natural and wholesome ingredients. 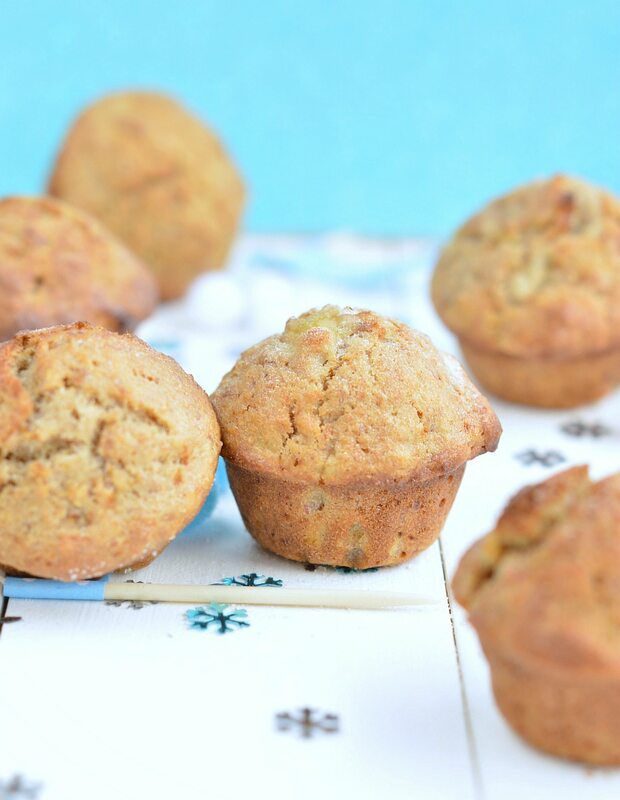 A refined sugar free banana muffins with wholewheat flour ideal for an healthy lunchbox for kids. Grease a 12-holes mini muffins tray with coconut oil. Set aside. In a large mixing bowl or the bowl of your food processor with the S blade attachment, add all the ingredients in this order whole wheat flour, extra virgin coconut oil, eggs, mashed bananas, baking soda, maple syrup and cinnamon (if desired). Blend until combine and smooth. It is ok if you still have bites of bananas it is actually better as it adds lots of moisture to those muffins. If you are using a food processor it will not take more than 1 minute to prepare the batter. Spoon the batter into the muffin tray and bake for 10-15 minutes max or until a chopstick inserted of the centre of the muffins comes out clean. Flip over the tray onto a cooling rack and cool at room temperature before eating. You can froze those whole wheat banana muffins in zip bags and defrost them 3-4 hours before eating. Store in the pantry up to 5 days in a airtight container. This recipe makes about 20-24 mini muffins. Muffin Pan: we used a non stick 24-cup mini muffin pan - no silicon here. Oil: You can replace melted coconut oil by any vegetable oil of your choice. The healthiest options will be olive oil, rice bran oil or almond oil. This recipe makes 24 mini wholewheat banana muffins. Nutrition panel is for one mini muffin. Hi Carine! These muffins are delicious! My kids love them and we even added mini chocolate chips for fun. Thanks for sharing! Hi Deanna, Hummm chocolate chips are a great addition 🙂 See you soon on the blog, Carine. Hi. Just curious. Why no silicone pans? Thanks! I don’t like to bake in silicon pan because muffin stay too soft but it is up to you! The recipe will work very well in any kind of pan. Enjoy the recipe ! XOXO Carine. I’ll make them again it’s so easy! Thanks for sharing. Hi Vero! Merci pour ce joli commentaire! Emma loves those muffins it is so simple and delicious. You have to make more for yourself, seriously you must try them it is too good 🙂 Carine. Just finished making a second batch. Substituted aguave syrup instead of maple/honey and added blueberries. Such a simple and delicious recipe, thanks for sharing. Hi Crystal, this is so nice to read your comment! I also love to add things into this simple muffins recipe like chocolate chips, raisins and berries are great addition. I am so glad you love it and I hope you will find even more great recipes to try on the blog. Talk to you soon ! Carine. Could I substitute wheat flour for almond flour? Hi Jessica, I never tried the recipe with almond flour as I do this recipe for my little girl and there is a nut free policy in her school. Almond flour contains less fibre than wholemeal flour so I am concerned that if you substitute the amount of wheat flour by equal amount of almond meal the batter will be too runny. You may have to balance that with 1-2 tbsp of coconut flour in the mix to keep the batter thick – muffin like consistency. I hope this help! Enjoy the recipe on the blog. Talk to you soon! Carine. Hello! Thanks for this great feedback ! I am glad your kid love them, my girl is a huge fan of those simple muffin too. I wish you find more recipes for you and your kids on the blog! See you soon, xoxo, Carine. the best muffin i’ve baked so far! it is so moist and it is the best recipe for my daughter that is allergic to dairy! I added blueberries to the recipe and it is so tasty and delicious! thank you! Hi! Thank you so much for this lovely comment! 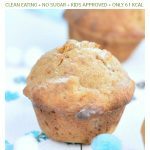 I love how moist are those muffins too and so easy to make for kids lunchbox! Keep looking around the blog. I barely use dairy in my recipes on the blog so you should find lots of easy recipe for your allergic daughter! Enjoy the recipes. Talk you to you soon on the blog! Carine. I made these with my 2 and a half-year-old! We love mixing and getting our hands in flour. These turned out SO good. Much better than some muffin recipes with twice as many ingredients. Thanks for this recipe. Will be making again! Hi Anne, this is lovely ! I love to hear how people enjoy my recipes. As a mum of a 4 years old little girl myself I can share the feeling you had having fun with your kids in the kitchen. I really love simple recipes as well. Those muffins are so great to have fun with the kids in the kitchen and it is healthy and delicious. I hope you find even more simple kids friendly recipes on my blog – I have got a kids friendly section in the recipe browser if you like. See you soon on the blog and thanks for testing my recipes. Love from New Zealand. Carine. Just wondering about how many calories in each one??? Hello, This banana muffin recipe makes about 24 mini muffins. Per muffins there is 60 kcal. 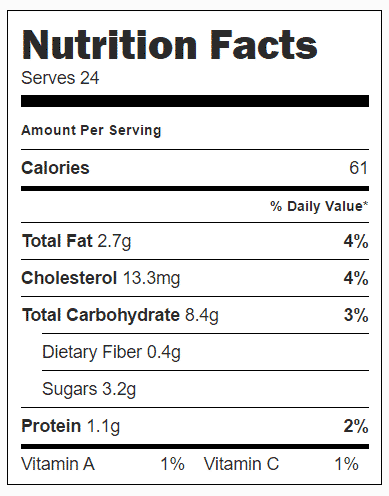 Details appears below the recipe in the nutrition panel. Thanks for reading the blog. Enjoy the recipe ! Thnaks for your lovely comment! I love those easy banana muffins too it was a pleasure to share the recipe ! Keep browsing the blog there is tons of over recipes you may like. Talk to you soon here. xoxox Carine. My son has a peanut, diary, and egg allergy. Do you think an egg substitute like applesauce would work okay. Hi Jessica, I don’t like to approve an alternative recipe I didn’t try myself. I believe apple sauce will not work well as it will make the batter too moist and the muffins will also be very sweet as it is already using bananas. However, if you want to try something as a egg replacement I would recommend chia eggs -you can get more information about it on this lovely blog here. Let me know if you try something ! I am always very keen to hear about any successful recipe alternative! Thanks for reading my blog and I hope you will find delicious recipe for your allergic son on my blog. Carine. I just made these and love them! I don’t have mini muffin tins so I did 12 standard size muffins and baked them for 20-25 minutes. I also used sugar free maple syrup in an effort to save calories. Of course, then I turned right around and threw in a handful of mini dark chocolate chips. Haha! So much for low calorie but I’m a sucker for dark chocolate and I think it goes so great with banana. Anyhoo, these are amazing! And they are going to be perfect for my daughter as a quick grab and go breakfast in the morning. Thank you for sharing! Hi Jessica, thanks for your lovely comment. I agree, nothing can bet the banana chocolate chips combo! What a great idea! Thanks for sharing your positive experience making this banana muffin recipe. I hope you will come back here to make it again ! See you soon on the blog! Carine. 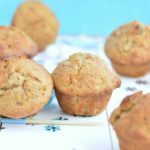 Oh, my goodness, I have tried many other healthy banana muffins before but this recipe was ultimately THE BEST. Using only whole foods, and one bowl? Complete winner. I substituted half of the oil for greek yogurt to make them extra moist. Thank you for having strength after a busy day of work to come up with this recipe, your family is lovely in the picture 🙂 !! Hi Maggie, Thank you for your lovely comment! 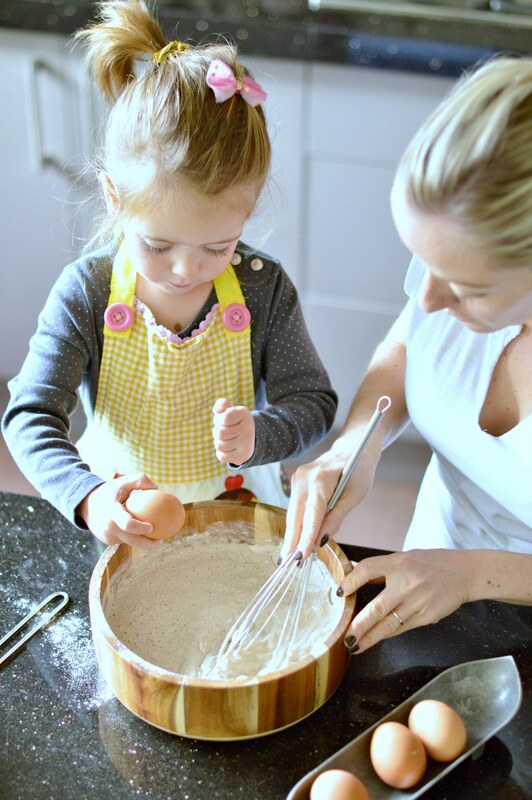 I love sharing my fun experience in the kitchen with my kids – always shy to share pictures of us but now that Emma turns 4 she is always in the kitchen next to me. So if you keep reading my blog you might see her little face more often in the next recipes 🙂 I am now on maternity leave with my 2 months baby boy Luka but keep an eye on the blog I will post more recipe very soon ! I never thought about using yogurt in this recipe but it looks like a great addition to boost my kids calcium lunch box! I will definitely try next time. Thanks again for reading my blog and testing my recipes. It is great to have you around ! Carine. Hi Carine! I’d love to give this recipe a go for my kids but don’t have wholewheat flour at hand. Can I use regular flour? Hi, yes sure ! it will perfectly work as well ! enjoy the muffins 🙂 My kid loves those banana muffins. Carine. Hello, it’s the first time I visited your website and I tried out the recipe. I was a bit skeptical since homemade banana bakery goods usually turns out pretty dense. These came out really fluffy and rose more than expected. I would use a little less honey next time (since my bananas were super ripe) and perhaps add a dairy ingredient to make it more rich. I ran out of coconut oil so I tried coconut extract and extra virgin olive oil, which still came out fine. Thanks for the recipe! Thank you so much for your nice comment. I am so glad you enjoy those banana muffins. That is also what I love the most about them – it is a light fluffy muffins not dense at all! Glad to hear it works well with olive oil as well! Thanks for testing my recipes! See you around very soon! Carine. Hello! I am so glad you love them! It is definitely my girl favorite sweet muffins for her lunchbox too. Your comment makes me smile as it reminds me and my husband 4 years ago when I tried to make him eat healthier. He was addicted to Nutella and all sort of candy bars but trust me after 4 years he loves all my healthy alternatives and homemade snickers bars, bounty bars more than those from the store. 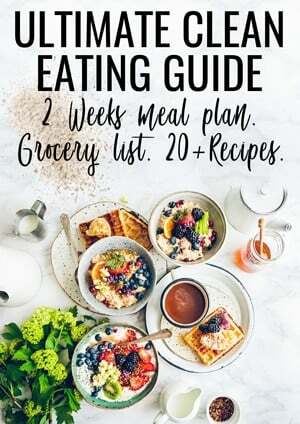 As soon as you get a good recipe it is pretty easy to convince them that healthy eating is delicious and not boring 🙂 I hope you find even more delicious recipe around the blog. Thanks for testing my recipes and following me. xoxo Carine. All I can say is OHH MYY GOD!! these were very very yummy and the perfect consistency. I have tried the exact recipe and it turned out to be perfect and the best I have ever tried making a muffin!! My 2.5yr old loved eating them.. Am Soo glad I came up to this site while searching for kid approved muffins. Now I can be at peace for making my kid eat healthy yet full-filling full stuff at breakfast. Thank you a TON Carine!! Love!! Request – I wanted to incorporate some nut powder ( homemade crushed powder of walnuts, almonds etc ). How much do I be needing to add into this exact recipe? Any tip would help. You are the sweetest follower ! Your comment touch my heart, really! I am sharing those recipe for fun since my girl Emma was born 4 years ago. It makes me SO happy to know that other mums loves those recipes with their kids. Trust me, each recipe on the blog is tested by my picky little girl, so if they pass the test in my home your kids should love them too 🙂 Regarding the nuts, I usually don’t add any in this recipe as Emma’s daycare is nut free. But I would recommend to add 1/4 cup of almond meal (ground almond), not more or you may loss the lovely texture of those moist banana muffins. Sometimes I am also adding 1/4 cup dried raisins or seeds or coconut. You can even add 1/3 frozen berries in the batter to create different variety of muffins ! Enjoy the healthy recipes on the blog ! And again, thank you for reading me and trying my recipes! You are the best ! Love, Carine. Amazing my toddler loves them…thank you. I am so happy for you ! Thanks for reading the blog and testing my recipe with your little one! Be assured that all my recipe are tested by my two kids – Emma is almost 5 years old and Luka is 8 months 🙂 Love, Carine. I love how simple this recipe is, but my muffins were super dense…any thoughts on why that is? I will admit, I didn’t follow the order of the ingredients – could this be why? It didn’t stop my little guy from devouring them! Will definitely try them again! Hi Sarah, maybe your wholewheat flour was slightly ‘heavy’. Some contains slightly more fibres than others and makes baking more dense. You can also try to use 50% regular flour and 50% wholewheat flour. I don’t think the order of ingredients will impact the recipe very much except that the baking soda must be in contact with liquid ingredient to rise well. As for any baking. I am so glad your little guy love them ! Thanks for your lovely comment Sarah. XOXO Carine. Sorry to high jack your post but the first time I made them I used baking powder instead of bicarb soda (aus equivalent to baking soda) and it was dense (still tasted delicious). I made another batch today using bicarb soda and they turned out fluffy and delicious. Hi, Thanks for helping other readers ! In fact, the recipe is calling for baking soda NOT baking powder! Baking powder is a diluted version of baking soda – mixed with other additives. If you replace the baking soda by baking powder – using the same amount it won’t raise as much. That is why I always love baking soda in my baking recipes, much healthier and the baked goods raise super well! Thanks, Carine. Can you use extra virgin olive oil instead of virgin light olive oil? Sure, any light taste vegetable oil will work well in this recipe. Enjoy the muffins! xoxo Carine. Ended up using coconut oil. Mine didn’t look as fluffy as yours, not sure if it was the silicone patties or used fan force on over. Either way they still tasted delicious and my son loves them. I am so happy that your son like them! Silicon mold are tricky indeed, but the most important is taste right! ? Thanks for following my blog and trying my recipes. XOXO Carine. This recipe is a keeper. Just made it to use up 1.5 very spotty bananas. Threw some raisins, unsweetened coconut and flax seeds into the batter and baked in a standard sized muffin pan for 19 minutes. Perfection. One cautionary note: I store my flour in the freezer and did not give it time to come to room temp. The minute my coconut oil hit the flour it hardened up. My bad! I thought I’d have to start over, but tried placing the bowl in a larger bowl of hot water and stirred vigorously. It loosened up enough, but won’t make that mistake again! Thanks for this beautiful comment! I am so happy this simple recipe works for others too 🙂 Thanks for reading the blog and making my recipes. XOXO Carine. Tried it. The muffins turned out great! It’s the simplest and easiest recipe to follow. Thankyou so much! I am the worlds worst baker. And I could make these! I am sooo happy ? Hi just found this recipe on a Pinterest search and made using wholemeal spelt flour and date syrup instead of maple syrup. I added a handful of chopped pecans and made some minis and some big and they are absolutely delicious ? thank you very much. So happy to read this because I wanted to try these for my son’s first birthday this Thursday, and I was wondering if I could use wholemeal spelt flour and date syrup, as I have those on hand. Good to know that it works 🙂 Thank you! What a lovely feedback! I love when my sugar-less recipe makes everyone happy. Thanks for sharing your lovely feedback and all your adaptation too. It is always useful to know that we can make those with only an egg if we run out 🙂 Enjoy the blog. XOXO Carine. Hello! You should not add more liquid in the recipe that is why your muffins are so soft and moist. The aftertaste could come from baking soda. Use baking powder instead if you don’t appreciate the flavor of baking soda. Enjoy the blog, XOXO Carine. I am looking forward to making these – are you able to advise if coconut flour would work instead? Also, wouldnrice malt syrup work instead of honey? Hello! I would not use coconut flour as it contains much more fibre than wholewheat flour and it may tryout the whole recipe or gets crumby. Almond meal should work well though as a low carb gluten free option. Brown rice syrup is all good as a sub to honey! 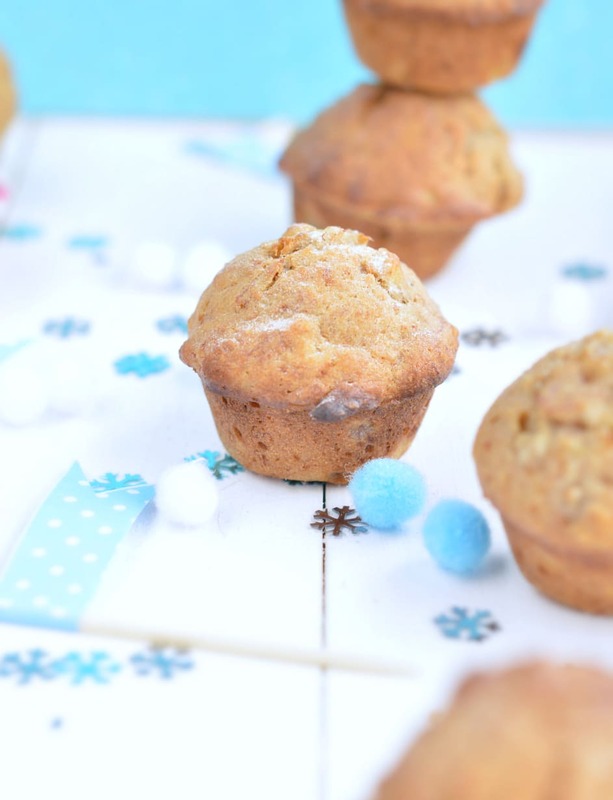 Enjoy the muffins and all the recipe on the blog! XOXO Carine. I am so sorry I can’t answer that question as I only work in cups. Can you find a cup measurement tool on amazon? So sorry for that XOXO Carine. Thank you for your trust! I am so glad you give those little banana muffin a try and loves them. Enjoy all the recipes on the blog. XOXO Carine. These look delicious! Could I make 12 regular sized muffins, and if so would the baking time change? Thanks! Of course bu yes they may require 10 minutes extra baking time. I recommend you check the baking process inserting a knife or pick in the center of one muffin, if it comes out clean it is cooked! Enjoy the muffin recipe. XOXO Carine. I didn’t seem to have quite enough batter for 12 regular muffins when I tried these. Doubling would seem to be way too much. Any advice? The recipe did not say it was for 12 regular muffins but for 24 mini muffins or 2 mini muffins are not equal to a regular muffin that is why you don’t have enough batter. You can simply increase the batter by a third if you prefer regular size muffins. Enjoy the blog recipes and thank you so much for trying some. XOXO Carine. Hello! What a lovely idea, banana bread is such a great idea. I am so happy this recipe works well in a bread size too, I may try for the kids soon. Enjoy the blog recipes. XOXO Carine. Hi! I don’t have a muffin tin, so I was wondering about using a regular bread tin. Did you use the same cook time or have to make some adjustments? Everyone seems to be raving about this recipe, and I’d love to try! Thanks for your time and feedback! It should work but it will take much longer to bake, probably around 40-50 minutes. Let me know how it goes. XOXO Carine. Thanks for the recipe! I just tried it today and it was so easy. However I could taste the baking soda from the muffins and my toddler didn’t like it… can I use baking powder instead of baking soda? If so, what’s the right amount for this recipe? Oh no! I recommend to use half baking powder for this recipe. Hopefully your little one will prefer this option. Enjoy the recipes on the blog, XOXO Carine. I am not sure what you mean by oven toaster, it needs to be a oven that gets to the temperature indicated in the recipe. Enjoy ! XOXO Carine.